Since its reveal during E3 2016, one of the most thrilling parts of seeing Marvel’s Spider-Man in action has been the action itself. Whether he’s tumbling through the air, battling Shocker in a boss fight, or taking on a host of enemies, Spider-Man is fun to watch. Of course, there is an explanation for why it looks so good. 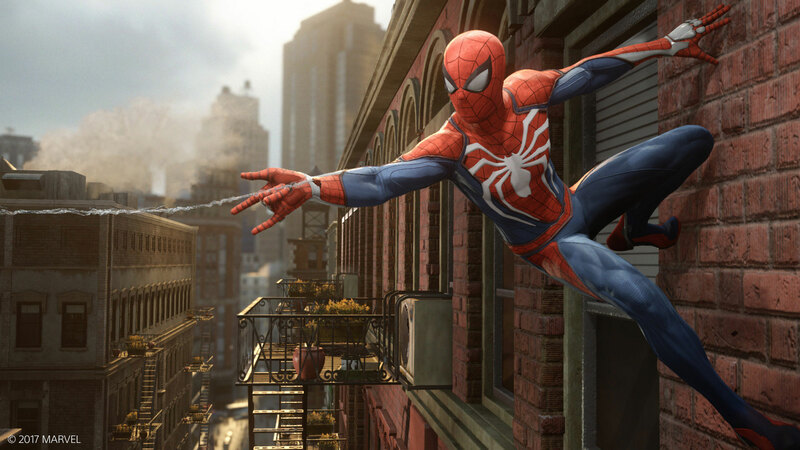 In a new video, members of Insomniac detail how action sequences are produced. The video opens with a developer explaining that great action sequences start with “a great story sequence.” As with any story featuring a clear hero/villain dichotomy, audiences must have a reason to root for the hero. With comics, it’s easy. The bad guys intend to enact insidious plans, and the hero, Spider-Man in this case, has to win for the greater good. Action plays into this by creating tension and conflict. In comic panels, artists convey the tension and conflict on the page. To translate this to an interactive medium, Insomniac developers borrowed heavily from the comics. Eric Monacelli, Senior Producer and Project Lead for Marvel Games, explained that he and his team worked with Insomniac to “position villains” in a manner that could seem as though images from panels were flashing on screen. In the video above, pages from comics where Spidey fights Mister Negative or Vulture run parallel to scenes from the Raft gameplay in the E3 2018 demo. Practicality factors into the action sequences, too. Many of the stunts, particularly those involving combat and acrobatics, were performed and captured on a motion capture stage. Motion capture also allowed Insomniac to hone in on individual characters. For instance, each villain has their own unique style of movement. Where Rhino is a massive lumbering character, Electro’s movements are more loose and laid back. Fans will soon get to play the action for themselves as the game’s launch continues to draw near. Marvel’s Spider-Man arrives on September 7, 2018.